Ice laden branches offer some advantages! 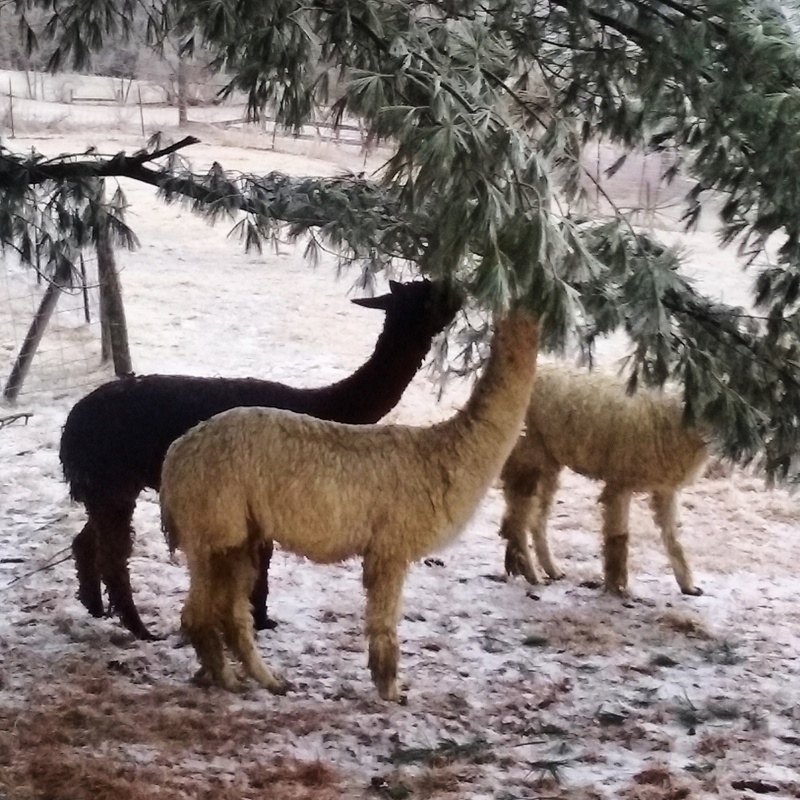 This entry was posted in Alpacas and Farm Life and tagged alpaca, Alpaca fiber, Farmed Yarn, fiberfarm, fine wool, Natural fiber. Bookmark the permalink. ← Sheepy Time Fingerless Mitts.